At the core of CNN’s new election center is the production control room, which is designed to handle daily newscasts as well as big events such as election night and the inauguration. 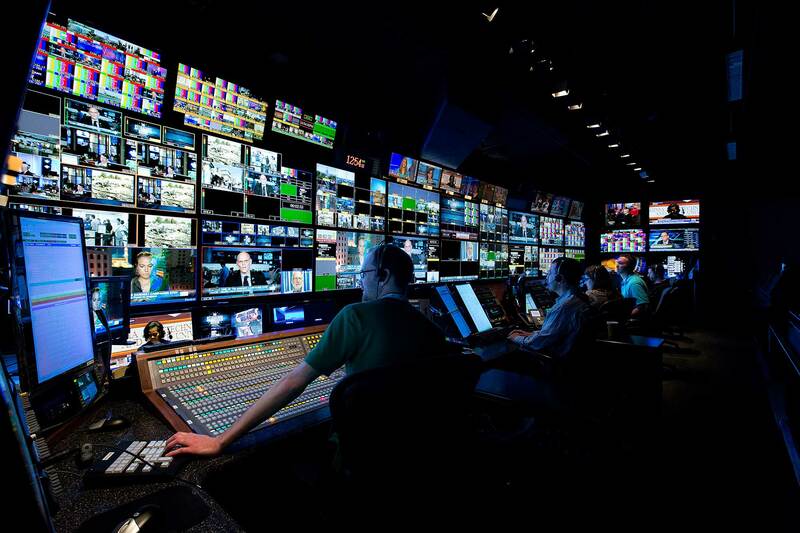 After laying the groundwork with Lawson’s massive expansion of CNN’s technical gear room (TGR), CNN turned to Lawson the following year as the next step in preparing for the network’s 2012 election night coverage. 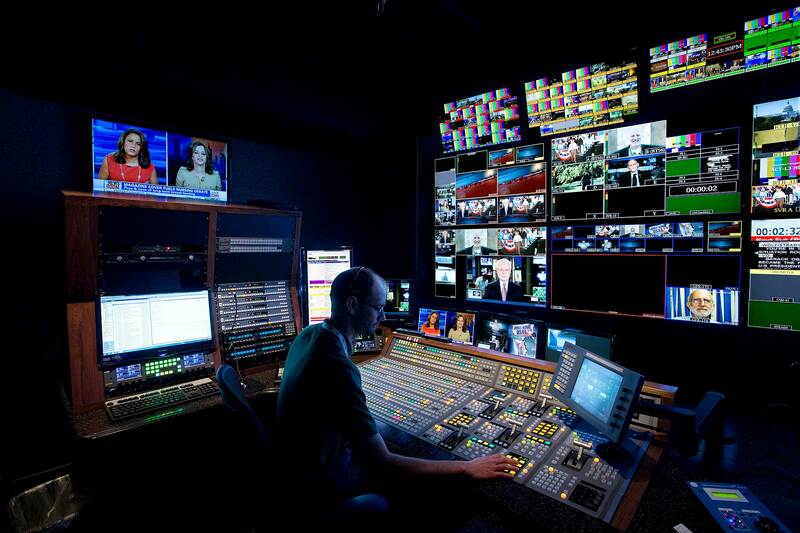 This phase involved expanding CNN’s production control room to handle the election night production traffic and accommodate the forty staff members that were expected to use the room. Lawson converted a former Larry King Live studio into CNN’s largest and most up-to-date production suite. The production control room was uniquely designed to be wider than it is deep. This allows for more people to sit closer to the extensive monitoring on the front wall as well as expand laterally for major events. All positions benefit from wall to wall and side monitors as well as a back console for graphic designers keeping the on-air data current. 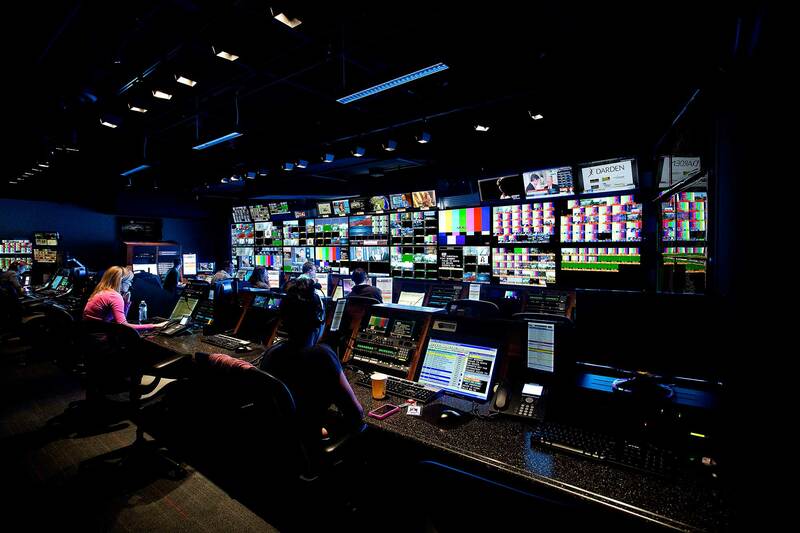 At the core of CNN’s new election center, the production control room is designed to handle daily newscasts as well as big events such as election night. It is well equipped for the election night production traffic from CNN’s new studios, which Lawson subsequently renovated in time to meet the network’s election night deadline.